Hi there! Long time no talk write ;). Thought I’d share a recipe that is deeeelish even though I basically ripped it off of Pillsbury. Oh well… If it ain’t broke… You know. 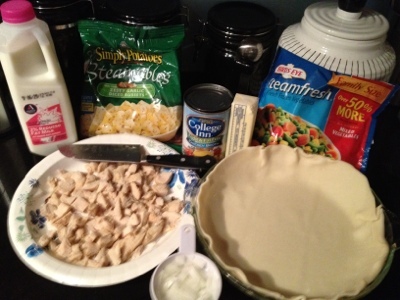 So here is the original recipe and here is how I make it. I pretty much use everything they do but with the addition of garlicky potatoes. Oh and this is the easy man new mama version. Enjoy! First roll out bottom of pie in glass pie dish. 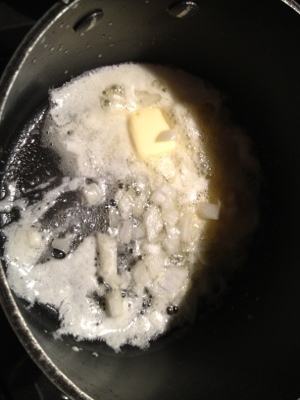 Then heat butter and add onion mixing until tender. 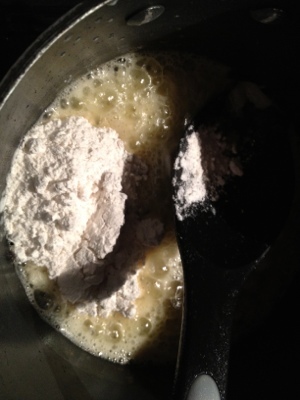 Add flour and mix until smoooooth. 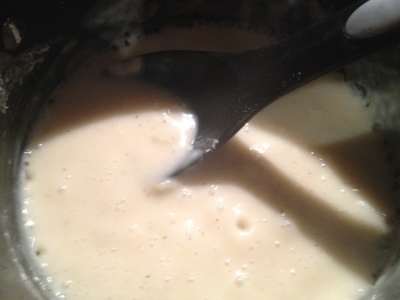 Then add broth and milk mixing until bubbly and smooth. 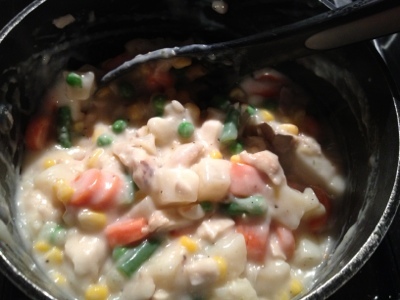 Add veggies chicken and potatoes. 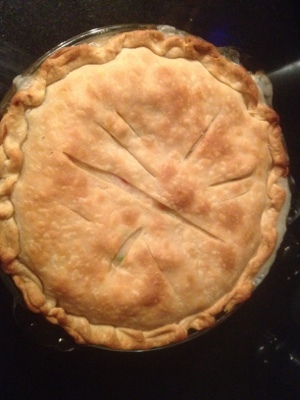 Set aside from heat then fill pie. 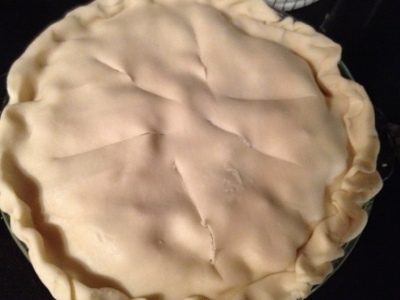 Add top pie crust and “flute” not forgetting to cut some slits to vent. Bake at 425 for about 40 min. 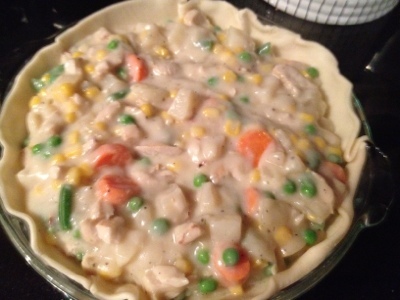 For the last ten minutes it is recommended that you cover the crust edges with foil so to avoid burning. Voila!